Jane Kespradit represents corporate clients and business owners in complex commercial and employment litigation. In the commercial litigation context, she has successfully prosecuted and defended actions involving unfair competition, contract disputes, breach of fiduciary duty, fraud, real estate disputes, and recognition of foreign money judgments. In the employment litigation context, Ms. Kespradit has experience defending management and favorably resolving discrimination, harassment, wage and hour, and wrongful termination claims. She has handled various aspects of litigation and has been part of trial and appellate teams. 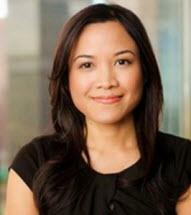 Ms. Kespradit’s leadership and pro bono work include founding and serving as a founding officer of the Thai American Bar Association, serving on the Board of Governors of the Asian Pacific American Bar Association of Los Angeles County, and volunteering for the Los Angeles County Bar Association Domestic Violence Project. Ms. Kespradit earned her J.D. from the University of San Francisco School of Law and her B.A. from the University of California, Los Angeles. While attending law school, she served as a judicial extern for the Honorable Judge Tomar Mason (Ret.) of the San Francisco Superior Court. Ms. Kespradit is based in Los Angeles. Obtained summary judgment in a federal adversary proceeding resulting in a financial institution’s $3.5 million judgment against the debtor declared non-dischargeable. Achieved dismissal of a putative class action alleging misappropriation by a Korean corporate client after filing a motion to dismiss for forum non conveniens. Prevailed on a motion for summary judgment in a breach of contract, unjust enrichment and unfair competition action, resulting in dismissal of all claims against a retailer and importer of goods. Favorably resolved claims involving a real estate developer in a breach of contract, defamation and negligent misrepresentation action. Represented a foreign-country money judgment creditor in an action for recognition and enforcement of foreign money judgment in California. Preserved a creditor’s $5.4 million claim against a bankruptcy estate by successfully opposing a party’s motion to disallow the claim. Favorably resolved lawsuit against an aviation services provider involving alleged unpaid wages, retaliation and wrongful termination claims. Obtained court dismissal of a former employee’s age and race discrimination claims against a property management corporation after filing a motion for summary adjudication. Negotiated a favorable settlement for a national retailer against a lawsuit brought by a former employee alleging wrongful termination, discrimination, failure to accommodate, and harassment. Achieved early resolution of a former employee’s discrimination and failure to accommodate lawsuit against a national retailer.